Mr Jim O’Regan reports on today’s ‘Hidden Tipperary’ tourism meeting. A meeting of the Hidden Tipperary Tourism group was held today (Tuesday February 4th, 2014), at Farney Castle, convening at 11:00am. The attendance included Tom Noone (Chairperson), George Willoughby (P.R.O.) St. Mary’s Famine Museum), Cyril and Margie Cullen (Farney Castle), Nuala Ryan (Upperchurch Development Assoc. ), Pat Slattery (Cormackstown Heritage Centre), Liam Ó Donnchú (Acting Secretary) and Jim O’Regan (Lár na Páirce). Apologies: Una Ryan (Marketing Eye), Councillor Evelyn Nevin (North Tipperary Tourism), Johnny Enright (Thurles Sarsfields), David Morgan (Semple Stadium), Michael Long (Cabragh Wetlands) and Adam Tozer (Holycross Abbey). The Chairperson began by first asking for ideas on how the group might further advance the marketing of itself. The group agreed that a brochure should be printed, in addition to the web-based promotion currently being undertaken. All agreed to provide the Hidden Tipperary website administration with information, both for use on the website itself and for the preparation of a new brochure. It was agreed to only include information that is relatively permanent and to keep information of a more temporary character for website use, where it can be more easily updated. Members spoke of encouraging the use of local media and in particular highlighted the recent coverage by the “Tipperary Star Newspaper” which had come on board since the beginning, providing coverage of recent meetings. The use of radio and its willingness to air programmes about the group was also discussed. There was general agreement that the latter should be further pursued once the contents of a brochure had been prepared. The Chairperson then asked if anyone had further information relating to bus tour operators. 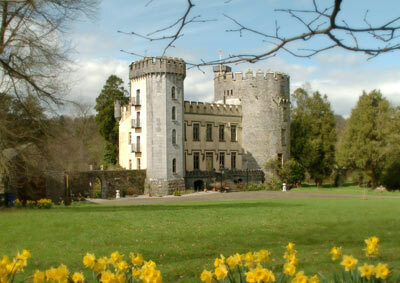 It was pointed out that Farney Castle had recently been added to the Marathon Tours brochure. However other tour organisers saw Thurles as a problematic place to visit, because of traffic difficulties and parking. Chairperson Tom Noone encouraged the group to continue to promote Thurles as a central location, both within Tipperary and in Ireland, particularly as North and South Tipperary are soon to be united, while strongly highlighting past and recent personal observances. It was pointed out that there were no Hotel or B&B representatives as yet among the group, and attendees were encouraged to talk to the Hotel, Restaurant and B&B sectors locally and encourage them to send contact details and other relevant information. P.R.O. George Willoughby updated the group on efforts to bring the Derrynaflan Hoard back to Thurles in 2015 on a visit, (Marking the 35th anniversary of it’s finding). He reported that through the continuous efforts of Alan Kelly (Minister of State at the Department of Transport, Tourism and Sport), a meeting had been convened with the Director and Assistant director of the National Museum. With space for the meeting kindly afforded in Ministers Kelly’s private office in Kildare Street, presentations by the Minister and himself had examined policy ideas with both assembled senior Museum Officials for some 80 minutes. During these discussions Minister Kelly whittled down many of the major issues which arose, with main important start off points being identified; e.g. (A) Suitability of possible identified and named venues, (B) Insurance costs & required security issues. Further discussions in relation to the latter will now be further investigated with recommendations expected to be forwarded by the newly appointed County Tipperary CEO Mr Joe MacGrath, together with North Tipperary Councillors and their official staff to the Minister & National Museum Officials. Venues suggested were The Source, Lár na Páirce and St Patrick’s College with a preference for the latter, due to current town traffic congestion and delays. Chairman Tom Noone proposed that the next ‘Hidden Tipperary Tourism Meeting’ be held four weeks from today. In keeping with the already agreed principal, that by the group meeting in each other’s facilities, they would better learn the range and variety of current visitor assets. Mr Pat Slattery invited the group to hold the next meeting at the Cormackstown Heritage Centre, thus setting a venue for Tuesday, March 4th, at 11:00 am. The meeting concluded at 12:30pm with the Chairman, on behalf of the group, thanking both Margie & Cyril Cullen for their excellent hospitality & the Tipperary Star Newspaper for their solid local support in promoting Hidden Tipperary’s tourism activities. Support Hidden Tipperary Tourism Group – Our very economic futures may greatly depend on it.